The elliptical cross trainer is one of the most popular fitness machines and there are good reasons for that! The elliptical workout is indeed very effective in burning calories and toning most of the muscles of the body. But what muscles does it really work? How many calories are burned in 1 hour of elliptical trainer? And how many kilos do you lose when you exercise on your cross trainer every day? 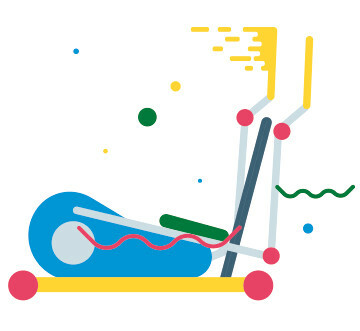 What are the other positive effects of the elliptical machine? Here are the 10 benefits of the cross trainer on your body and your health! 1. The cross trainer is effective for weight loss! Which workout is more effective to lose weight: cardio or HIIT? the most recent scientific studies show that a combination of cardio and HIIT workouts seems to be the most effective way to lose weight and burn fat. The great advantage of the elliptical trainer is that it allows to work both upper body muscles (biceps, triceps, abdominals, pectorals) and lower body muscles (legs, thighs and buttocks). The other advantage is that it is possible and even recommended to target the different muscle groups of the body by varying the exercises and the way you workout. This helps to target the weaker and less trained muscles. 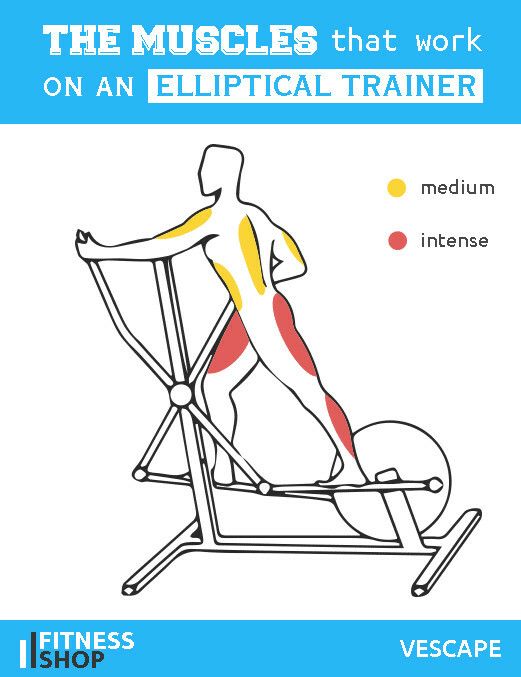 What muscles do elliptical cross trainers work? - The muscles of the lower limb (in red on the diagram): glutes, hamstrings (just below the buttocks), quads (or quadriceps, on the front of the thighs) and calves (at the back of the thighs). When you are pedaling backwards, the hamstrings and the buttocks are targeted, while the quads work more while you are moving forwards. To maximize the effect of an elliptical reverse (pedaling backwards) on your glutes and hamstrings, put your buttocks back a little as if you wanted to sit down while keeping your knees at a 90 degree angle as you stride. - Alternate exercises and movements: pedaling forwards, backwards, remove hands, push or pull the handles, sitting back while holding the stationary handles in the middle, striding faster, sprint, increasing the speed or the resistance levels, etc. That's how you will work all parts of your body! - The elliptical machine is not a strength machine! It allows you to strengthen and tone the muscles of your legs, thighs, buttocks and arms but not to develop them as you would do with weights or on a strength machine (unless you push the resistance to the maximum and workout several hours per day). How long does it take to see the effect of the workout on the body? The results do not happen overnight but come progressively. It all depends on the exercise intensity and duration of your workouts as well as the frequency of your training sessions. It takes at least 1 to 2 months to see the first results and if you want to compare your body before and after you will see the effect on your body after 3 months if you have exercised regularly. In any case, you must persevere! Using an elliptical bike has great heart benefits, as long as you exercise regularly! It is recommended to workout at least 2 to 3 times a week for 30 to 60 minutes each time (or more). You will quickly see the positive effect of the elliptical exercise on your heart. Measure your pulse at rest every week and follow the progress. You will also notice that you are getting out of breath not as quickly anymore after several weeks of workout. Lung capacities and lung volumes refer to the maximum volume of air that can be inspired and contained in the lungs. Activities such as snorkeling increase lung capacities but not the elliptical trainer training. The elliptical trainer is often compared with running but one of the major advantages of the elliptical machine is that it does not cause any shock in the joints, unlike running. It is a no-impact exercise. Elliptical movements are smooth and the elliptical bike is often recommended after an injury for the reeducation. More and more doctors agree that sports is the best prevention against diseases related to old age. Regular exercise can reduce the risk of many diseases, delay the onset of symptoms and also maintain the effectiveness of the immune system longer in older people, thus increasing life expectancy. This is probably the best cross trainer benefit! 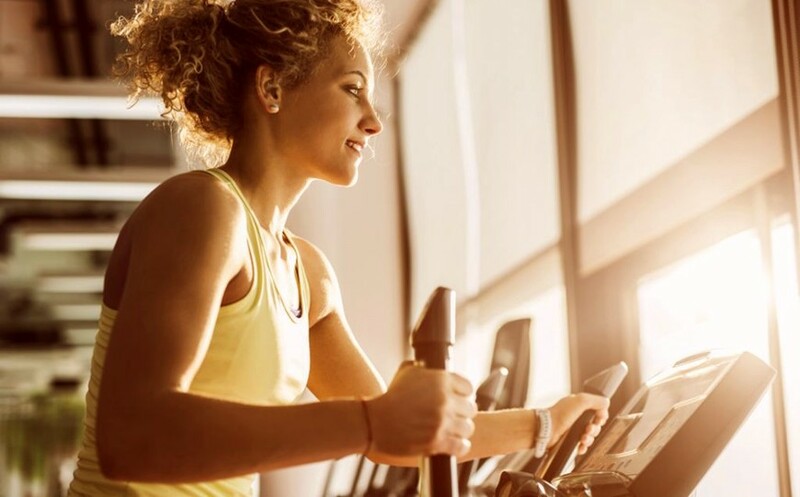 Regularly exercising on your elliptical cross trainer will help you lose weight, tone your muscles, strengthen your heart, improve your cholesterol levels and decrease the risk of diabetes, cardiovascular disease and Alzheimer's. It can also increase your life expectancy! Finally, prolonged exercises on your cardio equipment will help you feel good thanks to the release of hormones of happiness. 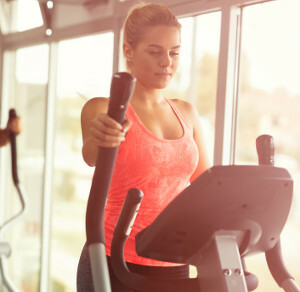 You now know the benefits of the elliptical machine workout on the body, so share this article with your friends and family, this could change their lives! Clara Miller has a Master's degree in Sports Science and Sports Management and has worked for famous sports and fitness brands. 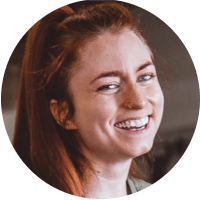 She is passionate about sports and regularly writes about fitness, weight loss and motivation for various blogs and magazines.